The author confirms the word count; this is a novelette, not a short story. 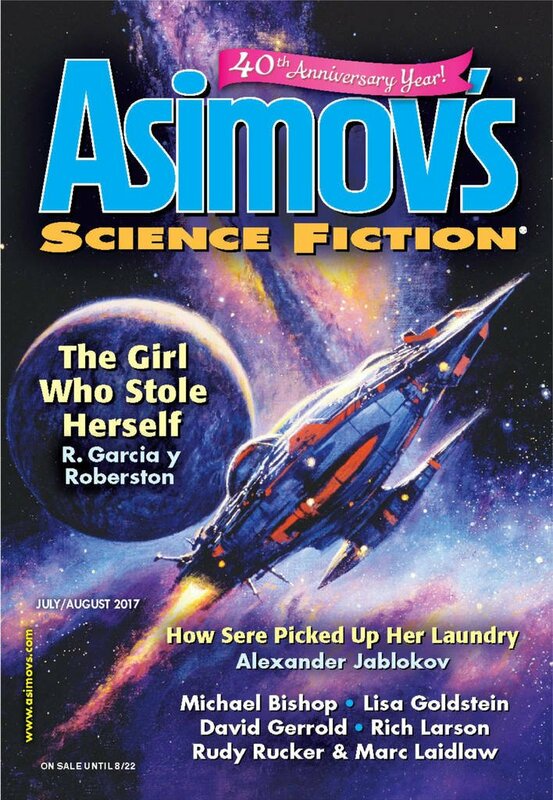 "The Patient Dragon," by David Gerrold [bio] (edited by Sheila Williams), appeared in Asimov's Science Fiction issue 07-08|17, published on June 15, 2017 by Penny Publications. Pro: The technology is fascinating, and so is the protagonist. There’s plenty of tension, plenty of suspense, and lots of excitement. The "patient dragon," of course, was B-2, which waited patiently until signaled to blow up the narrator's enemies. Con: The story ends abruptly. Just when it seems we’re close to finding out what’s going on, we learn that the narrator blew up the missing dragon (B-2) and killed all the bad guys. The end.